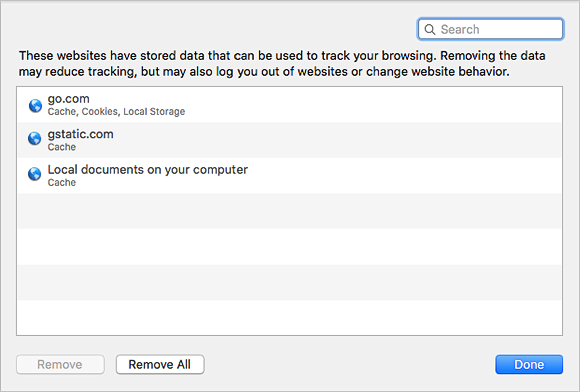 In the browser menu, choose Safari → Preferences → Privacy. 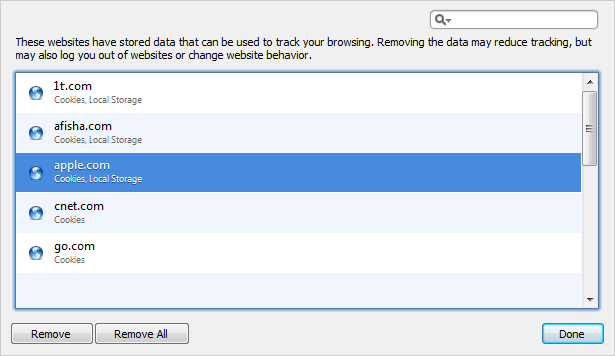 Move the Cookies and website data switch to Always allow. Choose the websites you want and click the Remove button. Then click Done. Note. Sites in the list will be allowed to save cookies on your computer. Click on Remove All Website Data and then confirm. Click on → Preferences → Privacy. Move the Block cookies switch to Never.